Today I get to introduce you to my newest quilt pattern! This is Skipper - a fun star quilt that uses fat quarters. The blocks look complicated but come together quite easily - I promise! 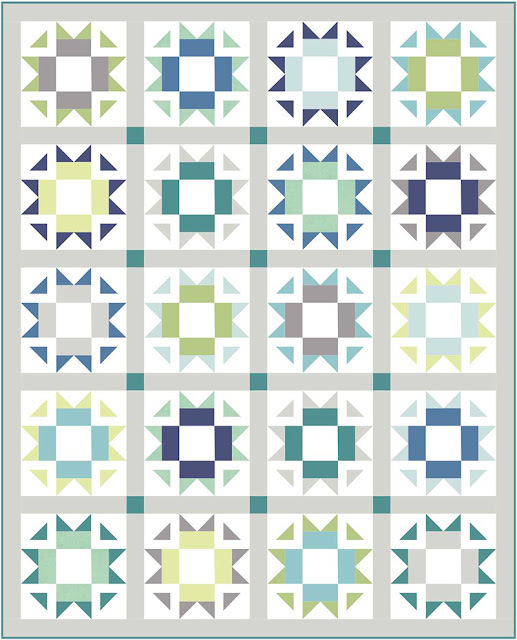 For the quilt on the pattern cover, I used the new Sunday Drive fabrics designed by Pat Sloan for Moda Fabrics. (You can see more of Sunday Drive here at the Fat Quarter Shop.) I love the colors in this line! 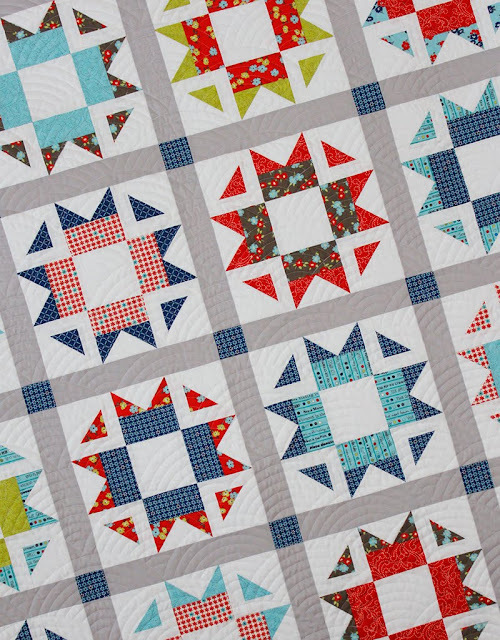 The machine quilting was done by Melissa Kelley (Sew Shabby Quilting) and she did this fun mix of baptist fan and clamshell quilting - called baptist clams. 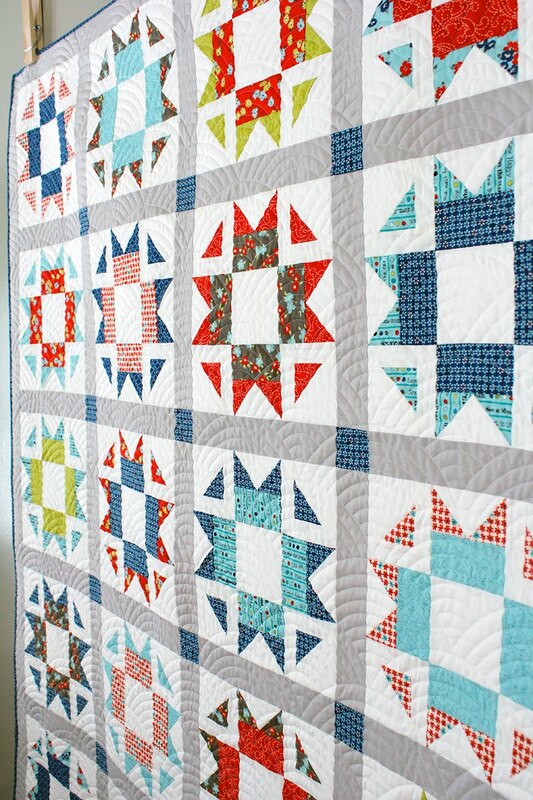 And it's just perfect for what I was imagining for this quilt! Like my other patterns, the Skipper pattern comes with instructions for multiple sizes (crib, throw, twin, queen). The quilts shown in this post are all throw size - my personal favorite. And here's a version of Skipper all done in solids. 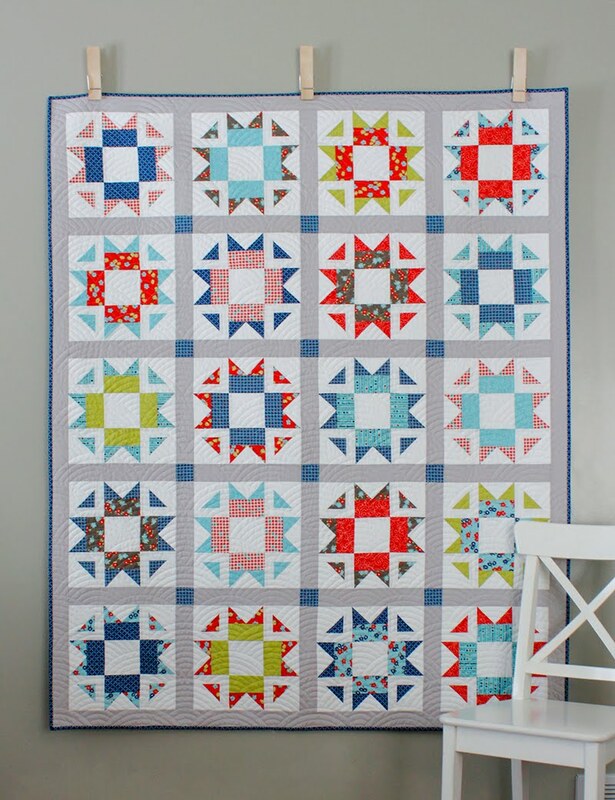 I'm really wanting to make one of these to hang in my upstairs family room! I had a great group of pattern testers for this pattern and you can see all of their blocks on instagram (#skipperquiltpattern). You can find the Skipper pattern in my shop - and it's available as either a PDF (immediate download) or a paper pattern option. 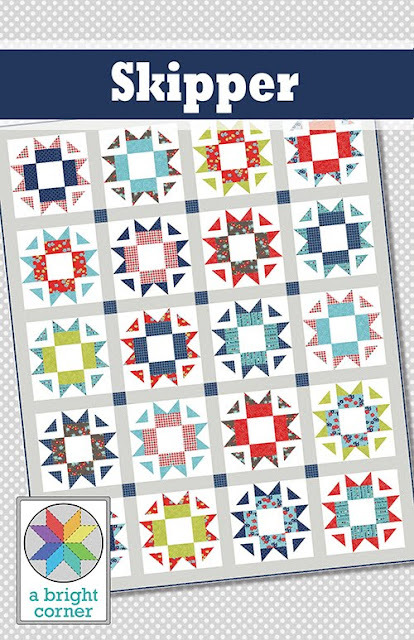 If you're a quilt shop, contact me for wholesale orders - or you can find my patterns through Checker and Brewer distributors. It's so pretty! So bright, fresh, and clean! Beautiful!! Love the fabric you used! Lovely, when you are ready to do it in solids and have a colour card with name and numbers I promise I get to it. I love, love the colours on your mock-up.